Eat ‘n’ meet – ISWI e.V. 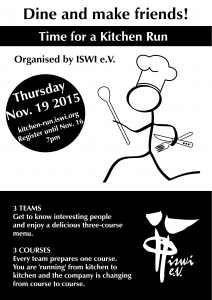 The registration for the next Kitchen Run is now open! 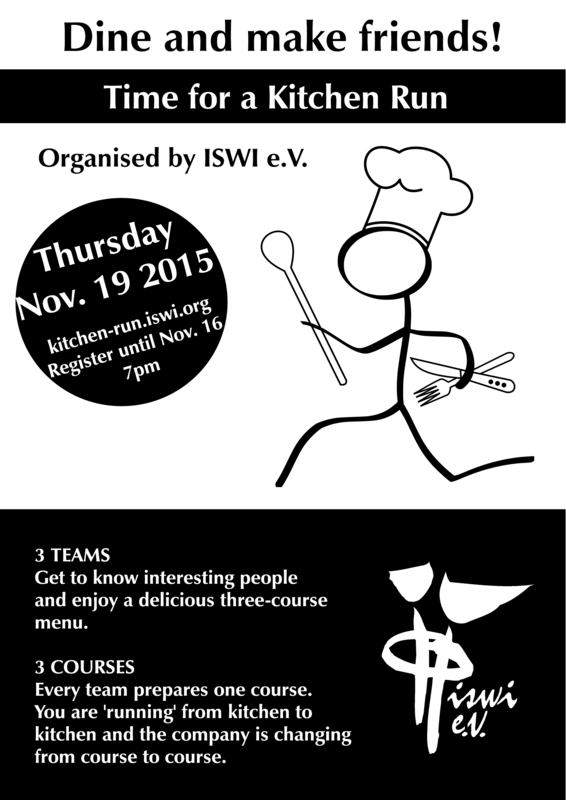 Register via: http://kitchen-run.iswi.org/. You don’t know what the Kitchen Run is about? You can find the answer here . The registration remains open until 16 November 2015, 7pm. ← Previous Previous post: Support refugees.